Hello everyone, today's card is a nice clean and simple one. 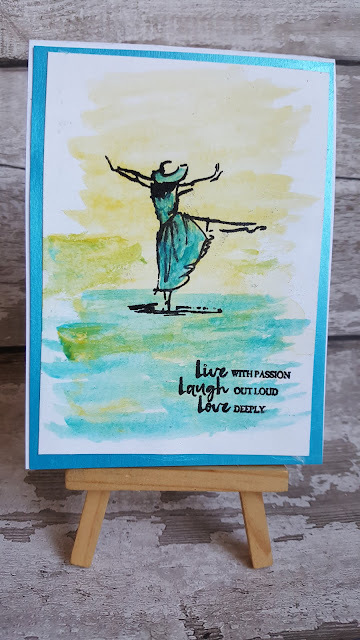 I used an unbranded stamp set from Ebay and very inexpensive water colour paints. I enjoy trying different products to see what the results are like, Sometimes cheap is as nice as expensive, I have a variety of all different brands of stamps in my craft room both branded and unbranded.